The American Human Rights Council (AHRC-USA) joins the nation in mourning the passing of former Dean of the US Congress, Congresswoman John Dingell the longest serving member in the house’s history. AHRC expresses its sincere condolences to his wife Congresswoman Debbie Dingell, his son Judge Chris Dingell and all the rest of the Dingell family. Since his retirement and despite his health complications, John Dingell never missed any community event to meet and greet his friends within all communities. He was humble and genuinely cared for people. John Dingell’s friendship to the Arab and Muslim American community was exemplary, will always be cherished and remembered. He was inclusive and he made sure to be friend to all. His leadership during the post/911 days will never be forgotten. The community remembers the dark days of the national tragedy of September 11 and the Dingell’s courageous stances not only to protect and shield the community from any negative and harmful backlash, but his helping empower the community to stand strong facing one its biggest challenges of all time. 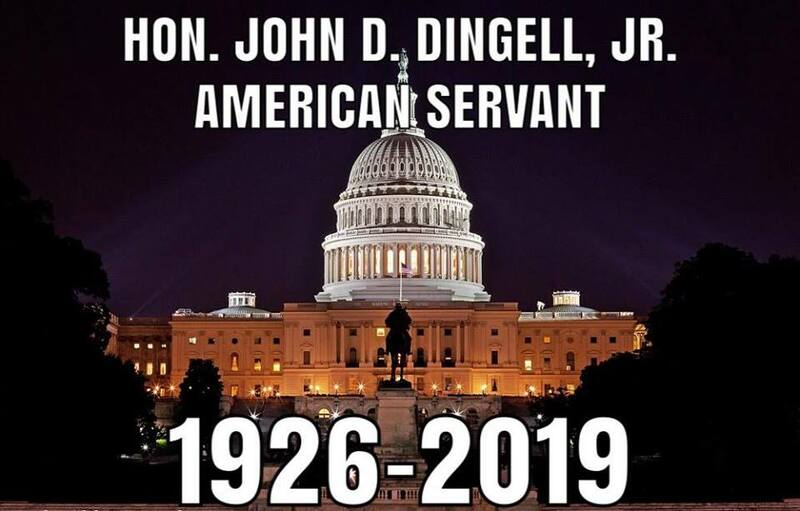 John Dingell legacy will never die and will be remembered for generations to come. The Honorable John Dingell was a public servant who believed in building bridges of understandings. “Congressman John Dingell was a great man. His legacy will live on,” said Dr Saleh Muslah, AHRC Board President. “America lost one of its true heroes today, the remarkable John Dingell,” said Imad Hamad, AHRC Executive Director. Services are held as follow: Public are invited. Monday- Feb. 11, 2019 from 11:00AM to 8:00PM at the Performing Arts Center (Dearborn Civic Center)- in Dearborn. Tuesday, Feb. 12, 2019 at 11:AM – Funeral Services at Deaborn Scared Heart Church. 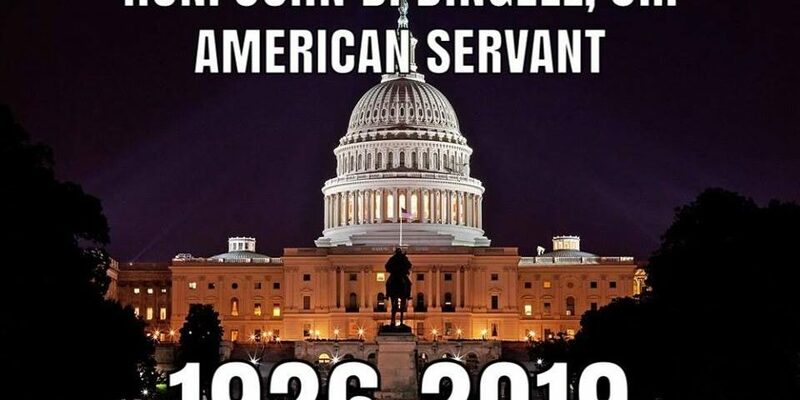 Mr. Dingell’s boy will be laid to rest at Arlington National Cemetery in DC.